In 1940, German forces captured approximately twenty British Mk. VI tanks. 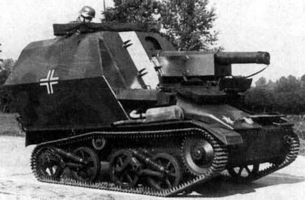 The captured vehicles were used for training purposes until the fall of 1942. 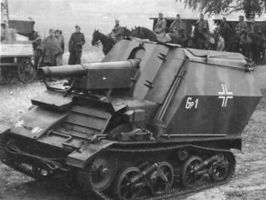 In November it was decided to develop an artillery on the basis of the captured Mk. VI. In 1942, modifications with a 105- and 150-mm field howitzer were developed. All these artillery were lost in the defense of France in the summer and fall of 1944.